As I arrived at the new Kvik flagship showroom in Thong Lor Soi 10, Iain Flitcroft the master franchisee for Kvik in SE Asia was sitting at what has to be the largest island unit I’ve ever seen. 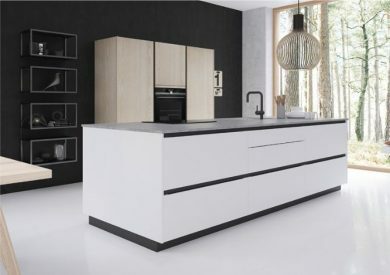 With its white high gloss, linear, handleless drawers and a stunning solid oak, wraparound worktop, I could easily imagine how this handcrafted and beautifully understated piece of furniture would form the focal point of a great, open plan, living space. “It’s not just about a cooking space, it’s about lifestyle’ said Iain. Kvik has been producing furniture for almost forty years from its manufacturing site in Vildbjerg in the north of Denmark. Now producing around 1,000 kitchens per week and with more than 150 stores throughout Scandinavia, Western Europe and Asia, Kvik continues to see positive growth. Kvik is itself a part of Ballingslov International, a family of nine Kitchen, Bedroom and Bathroom businesses that is ultimately owned by Stena, one of the largest privately owned companies in Scandinavia. The confidence that Kvik has in its product is reflected in the 10 to 25 year guarantees that it offers on all of its products. Kvik entered the Asian market eight years ago and now has six stores in Thailand plus outlets in Manila and Hong Kong. Iain Flitcroft, joined Kvik as the master franchise for SE Asia in 2017 having sold his kitchen business in the UK to Ballingslov. Iain owns the store in Thong Lor Soi 10 and has overall responsibility for the support and growth of the Kvik network in Asia. “I set up a design office, here in Bangkok, supporting the UK operation, about 15 years ago. Having grown to love the country my ambition was always to spend more time here and so, having sold up in the UK, the opportunity to come here full time and build the Kvik business was just too good to resist!” ‘Everyone has the right to a real Danish Kitchen’ is Kvik’s basic proposition to the market here. 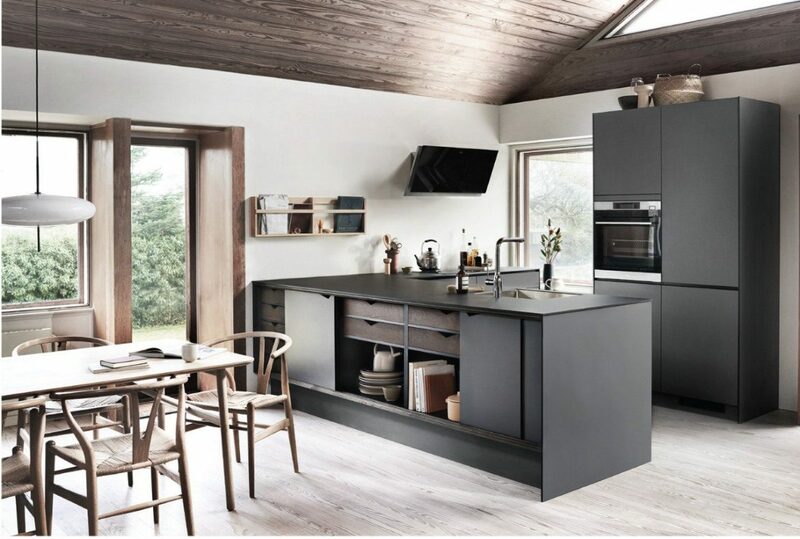 With an offer focussed on quality, design, service and value, Iain believes that Kvik is the most accessible, genuinely imported ‘European’ brand in the market. “Our factory in Denmark is state of the art and constantly investing in machinery and automation to drive quality and efficiency. That, combined with a focussed product offer enables us to deliver an extremely high level of factory efficiency. For the customer this translates into great value without any compromise in quality” Kvik has a team of skilled sales designers who take a ‘space’ and combining that with a detailed understanding of the customer’s requirements and lifestyle will deliver a kitchen that reflects their taste and lifestyle. 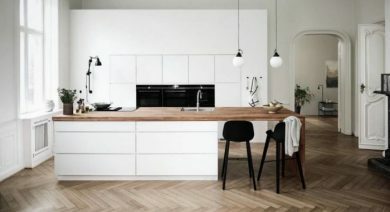 With a myriad of options, be it door styles, handles, internal accessories, work surfaces, lighting or appliances, visualising a kitchen from scratch can be a daunting and bewildering task. The role of the Kvik team is to be the ‘expert’ and taking the customer by the hand, guide them through the process advising, suggesting and sometimes challenging as they go along. “The process can be so detailed, so it’s not surprising that, by end, our teams build a very close relationship with their clients.” Service is one of the corner posts of the business that Iain both values and drives vigorously. “Personally it has been the service element, here in Thailand, that I have often found the most frustrating. Kvik has stores in Thong Lor Soi 10, Rama IX, Ratchapreuk Rd as well as Hua Hin, Pattaya, and Surat Thani. For more information visit: www.kvik.co.th or call 081 860 6019.